Aurora disegna, sviluppa e produce per la propria collezione ogni tipo di arredo imbottito: divani, divani-letto, componibili e trasformabili di ogni tipo, poltrone e complementi, letti e accessori. Aurora designs, develops and manufactures all types of upholstered furniture: sofas, sofa beds, modular and transformable units of all types, armchairs and accessories, beds and accessories. Aurora produce con cura e dedizione, partendo solo da componenti e materiali di produzione nazionale, che rispettano i più elevati standard qualitativi: partendo dai meccanismi, alle sospensioni e gomme, fino ai rivestimenti esterni in tessuto e pelle. 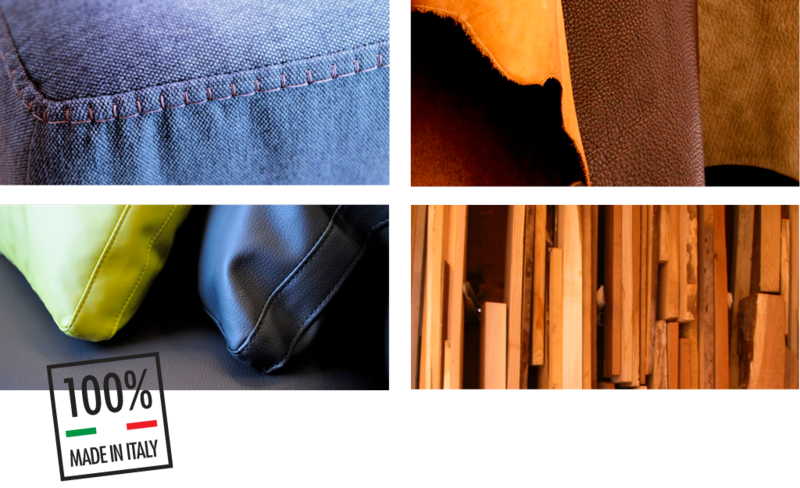 Aurora produces its products with care and dedication, starting exclusively with domestically produced components and materials, which meet the highest quality standards: from the mechanisms, suspensions and rubber parts, to the outer fabric and leather covers. Aurora sviluppa modelli originali, dalle soluzioni pratiche ed innovative. Ogni prodotto unisce grande creatività, il massimo della qualità e cura dei dettagli, con l’obiettivo di offrire ai rivenditori più qualificati del settore una collezione di prodotti unici e al passo coi tempi. 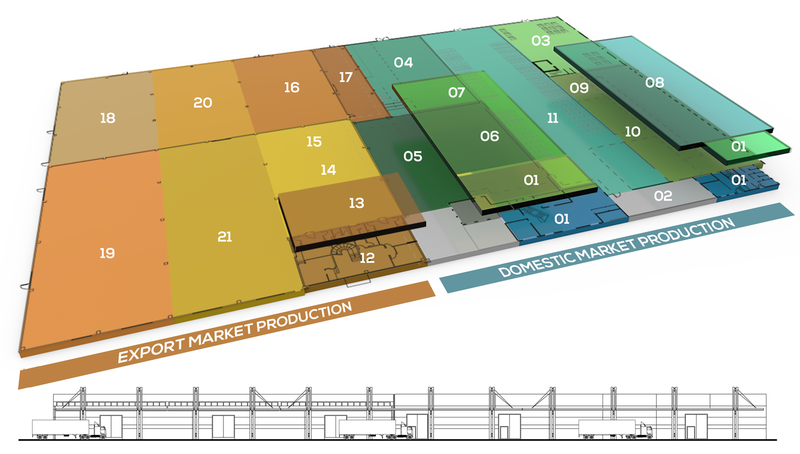 Aurora develops original models, offering practical and innovative solutions. Every product combines great creativity, top quality and attention to detail, with the aim to provide the most qualified retailers in the industry with a unique and up to date collection. Aurora S.r.l. is a modern, dynamic and flexible manufacturing company: it designs, engineers and manufactures high-quality upholstered furniture and furnishings. 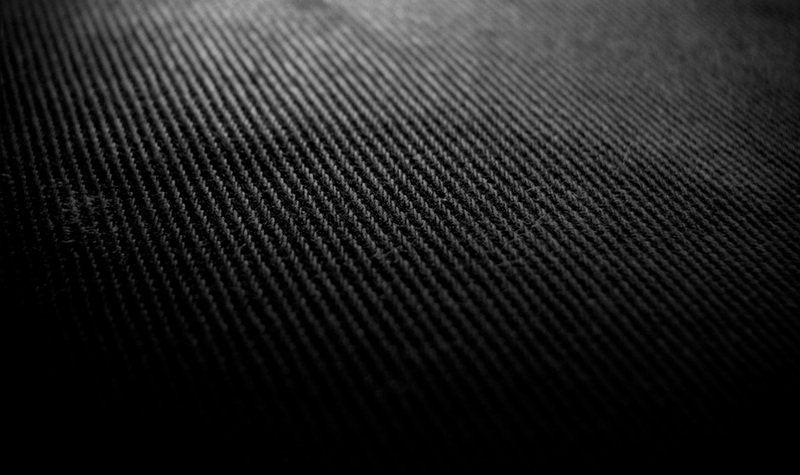 Many things have changed at Aurora since our first handicraft products, in 1997: our constantly evolving products, our production that has become industrial, our distribution that has expanded at an international level, our numbers and capacity that have now become those of a large Italian sofa and upholstered furniture manufacturer. Several things however have not changed, but have remained our strong guidelines: the desire to innovate and create new designs, the quality of our 100% Italian products, our ethics and our respect for our work. 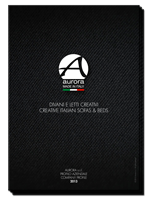 Aurora is now a major undertaking, in the heart of one of the main production areas of sofas in Italy and Europe. 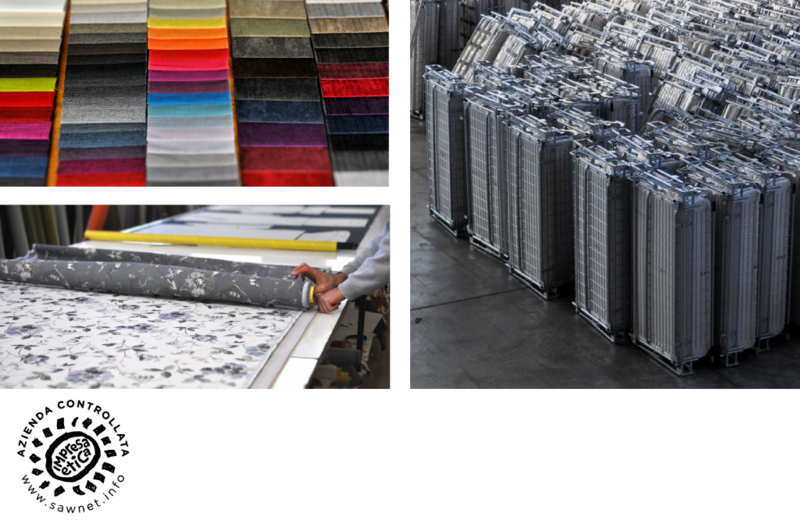 The excellence and tradition of the craftsmanship and industrial productive fabric of Forlì, in particular in the field of upholstered furniture, allows Aurora to take advantage of a leading and high-performance supply chain, to ensure quality and capacity. Aurora's products are produced in a modern and organised 16.000 sqm plant, located in a large industrial area of Forlì, which is optimally served by major highways and rail lines and strategically positioned near the freight terminal Interporto, the large commercial port of Ravenna, and the international airports of Forlì, Bologna and Rimini. Aurora is the sum of its resources, a company that is structured and identified by its human capital. Over the years, the numbers and dedication of the people composing the company have grown exponentially. Each sofa is the sum of the original ideas of our designers, who develop innovative forms, the hands of our hard-working carpenters and mechanics who create the frames and assemble the solid structures, the skilled and precise hands of our cutters, the fast and agile fingers of our staplers and the strong and decided hands of our upholsterers, which give shape to the product. Our products also draw on the commitment and the constant attention of our clerks and logistics and quality control staff. 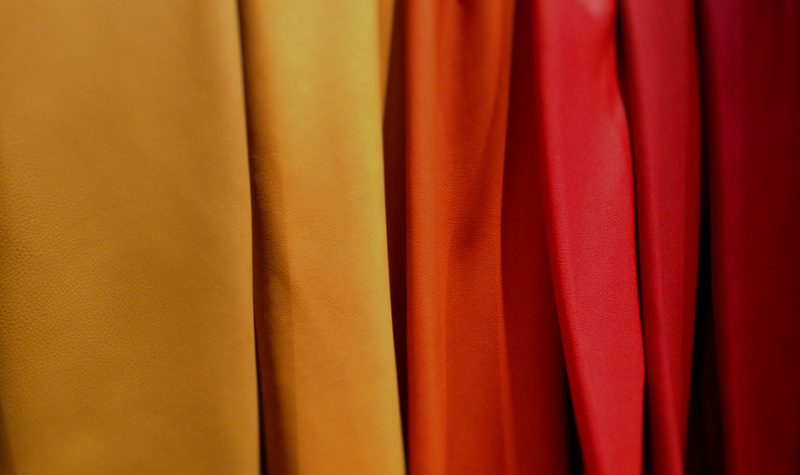 Our success story is based on a deep knowledge of craft, our energy and passion. 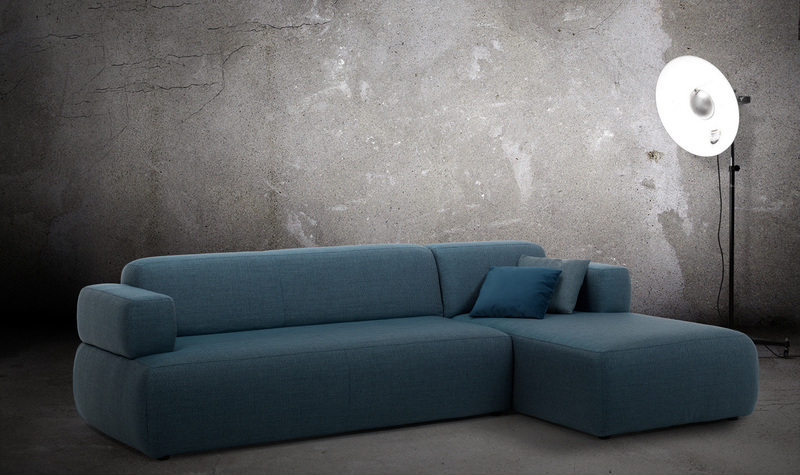 For its collection, Aurora designs, develops and manufactures all types of upholstered furniture: sofas, sofa beds, modular and transformable units of all types, armchairs and accessories, beds and accessories. The company also offers its know-how and manufacturing capacity for the creation of bespoke models for third parties, and product lines under contract. Its offerings stand out for their creativity, design, attention to detail, choice of materials and Italian style. 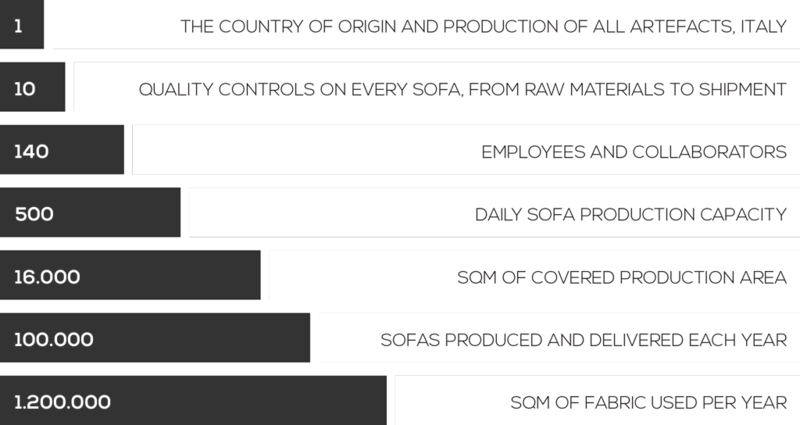 Aurora has achieved high organisational standards and a high optimisation level in its internal production processes and its entire supply chain (short), to minimise the production costs of its sofas and offer quality products at very reasonable prices. Aurora has always produced its products with care and dedication, starting exclusively with domestically produced components and materials, which meet the highest quality standards: from the mechanisms, suspensions and rubber parts, to the outer fabric and leather covers. All products are handcrafted and shaped by skilled hands through every phase of the process, from the creation of the frames, to sewing, assembly and packaging. The products are all subjected to a rigorous internal quality control system. The result is a product quality "100% made in Italy". A continued commitment of Aurora is research and development, constant technological innovation and a continued quest for innovative raw materials, components and mechanical parts, to provide our products with long-lasting quality. Thanks to the collaboration of the design office with designers and creative artists, Aurora develops original models, offering practical and innovative solutions. Every product combines great creativity, top quality and attention to detail, with the aim to provide the most qualified retailers in the industry with a unique and up to date collection. The meticulous organisation and careful quality control of all production processes and the seamless integration of the entire supply chain, from the choice of raw materials and components, through all stages of manufacture, distribution and transport of the finished products, allows Aurora to achieve high efficiency and meet the highest possible standards. Aurora maintains and disseminates this know-how to its craftspeople and internal and external collaborators through continuous training. Aurora operates in compliance with the ethical standards of the market, and, since 2005, is a controlled and certified "Business Ethics" company, since 2015 is FSC® (Forest Stewardship Council®) certified.